A gleaming emerald lake, majestic mountains, dense forests and enough time to admire these magnificent landscapes, is what a holiday in Bhimtal is all about. 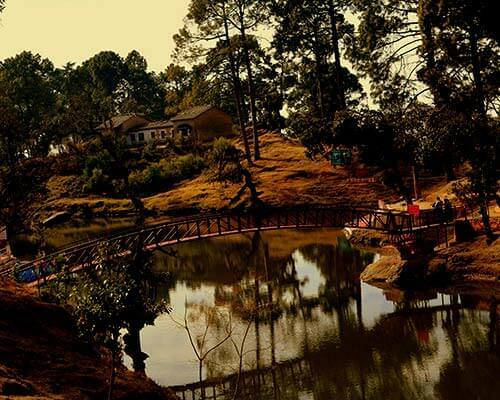 Most resorts in Bhimtal offer scenic views and tranquil ambience for a relaxed break in the lap of nature. 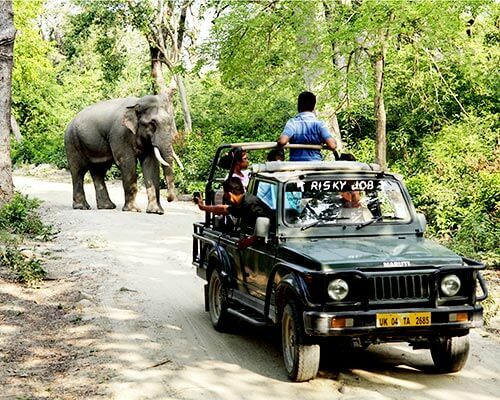 Though just 20 kilometres from Nainital, this quaint town is an oasis of calm compared to the crowded hill station. Along with the gorgeous Bhimtal lake and the aquarium on the island, Bhimtal is dotted with ancient temples like the Bhimeshwar Mahadev & Karkotaka temple as well as scenic picnic spots like the Victoria Dam. Designed to give you a taste of luxury in the midst of nature, V Resorts Monolith is the ideal escape from the hectic city life. 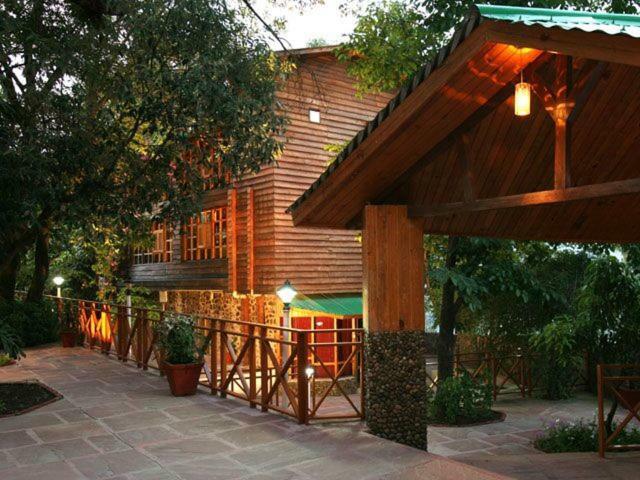 Quaint wooden cottages in the beautifully landscaped resort present a picture of the idyllic life in the mountains. With a location overlooking the Bhimtal Lake, prepare to be awed by the gorgeous views from the resort. 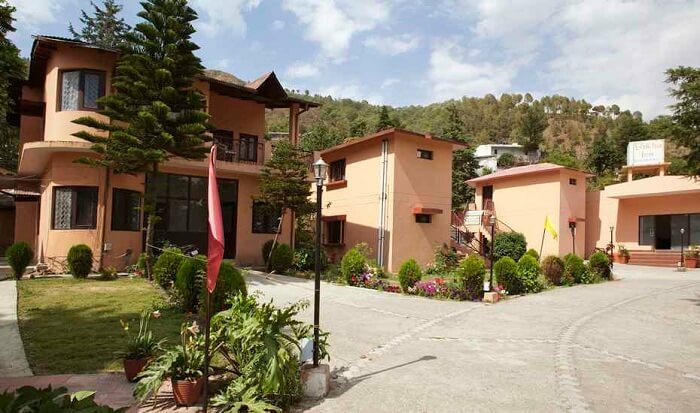 If you’re looking for resorts in Bhimtal with swimming pool, this one is a great choice. The buffet served at the Bollywood themed restaurant is exceptional. The tranquil atmosphere of the property is what strikes you as you first enter Mountain Club. One amongst the finest Bhimtal hotel & resorts, the only sound you hear is the chirping of birds and rustle of leaves of the tall cedar trees. With warm wood –panelled interiors, the rooms are cosy and exceptionally comfortable. 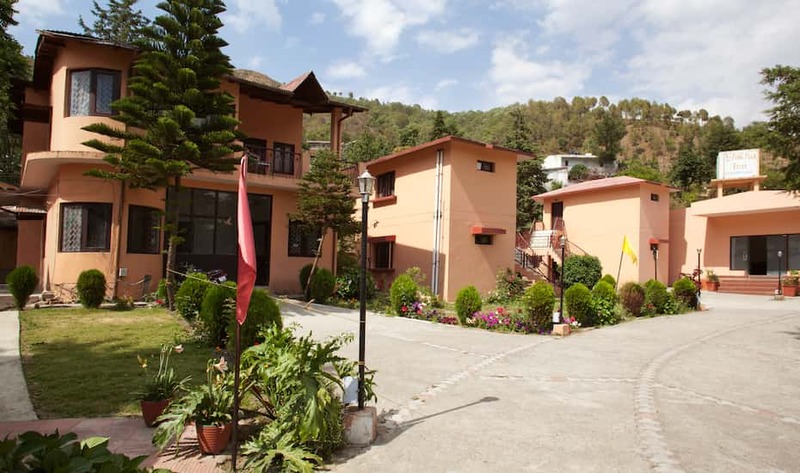 With a swimming pool and open play area for children, bonfire in the evening, beautiful dining space and conference facilities, Mountain Club is a great option for Bhimtal accommodation. 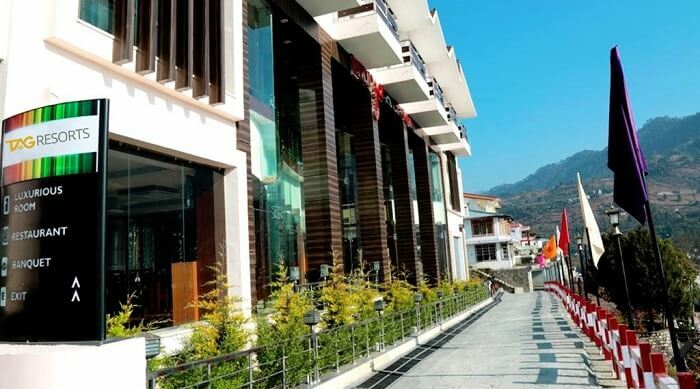 A fabulous resort located atop a hill with mesmerising sunrise views and panoramic vistas of the valley below, V Resorts features amidst the top resorts in Bhimtal. Constructed and maintained upholding the ideals of purity and positivity, the tranquil vibes and soothing mountain breeze at V Resorts will leave you relaxed & rejuvenated. 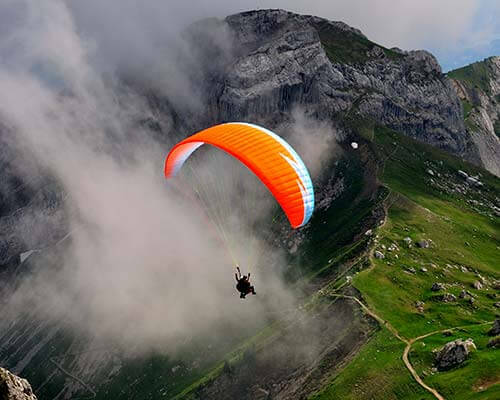 From organising special candle light dinners to adventure activities like paragliding and river crossing, the staff go out of their way to make your stay memorable. Located very close to Bhimtal lake, this is undeniably one of the best resorts in Bhimtal for its unmatched views and wonderful hospitality. The experience of viewing the glittering lake from your room balcony first thing in the morning can’t be beat. 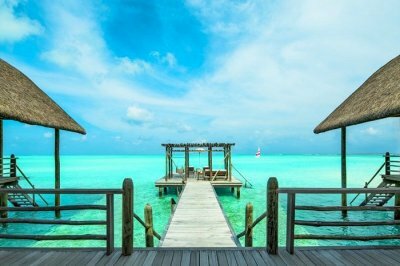 Add to this the warm and friendly staff and superb food, and you have the recipe for the perfect holiday in this haven of serenity. 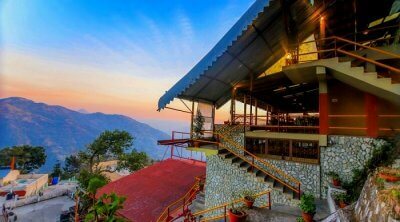 Nestled in the lap of nature and surrounded by forested hills, Tag Resorts is one of our top picks for Bhimtal hotel and resorts. 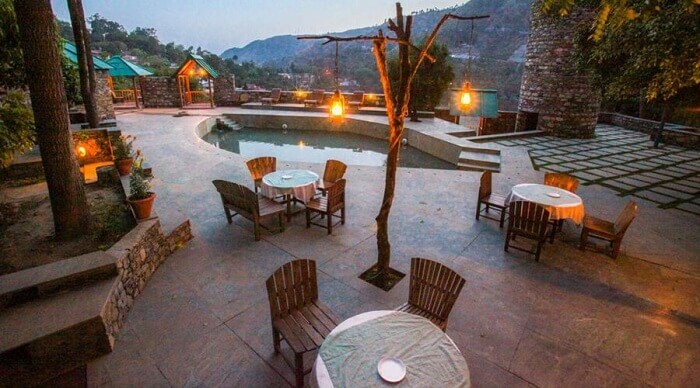 Located around 2 Kms from Bhimtal, in a quiet spot surrounded by forests is the comfortable and affordable Aamod Resort. Undoubtedly one of the best amongst Bhimtal adventure resorts, Aamod offers ample activity options to keep you happily engaged. 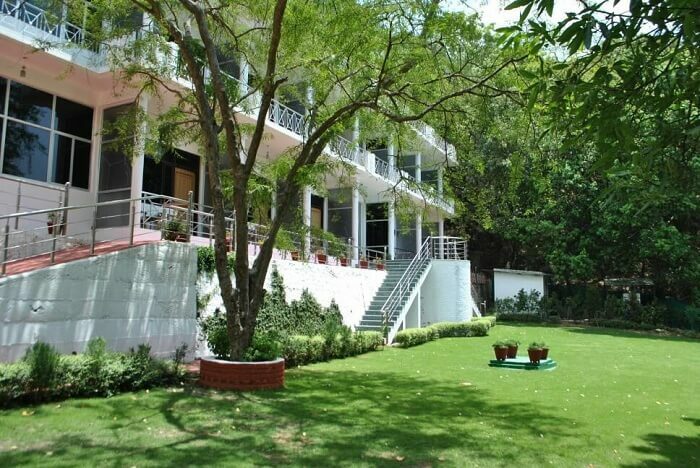 From thrilling rope obstacle levels to ziplining and guided trekking for adventure junkies to lounging by the pool or reading your favourite book in the beautifully landscaped environs, there is something for everyone at Aamod. 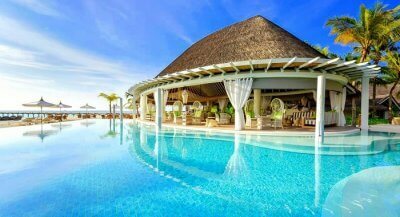 The food prices are slightly on the higher side so it is advisable to take an meals-inclusive package. 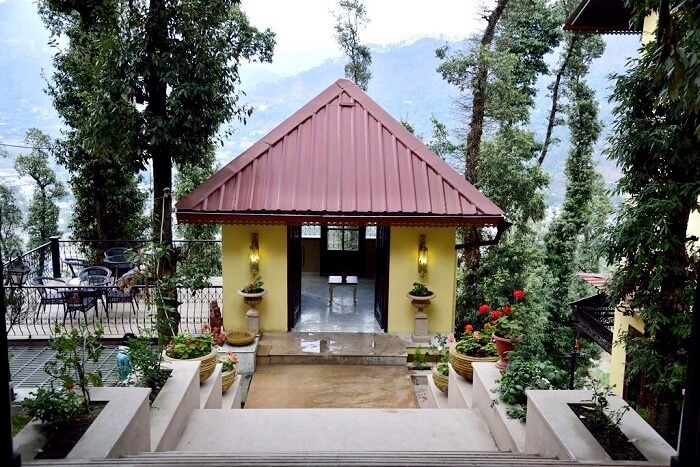 A beautiful property offering breathtaking views of the valley below, The FERN is amongst the best resorts in Bhimtal offering a luxurious stay in the lap of nature. From the well-appointed room to the helpful staff, landscaped gardens and great food options, the resort ticks all the important boxes for a memorable stay in the hills. Mesmerising views greet you from your room balcony, as soon as you begin your day with a warm cup of tea/coffee. 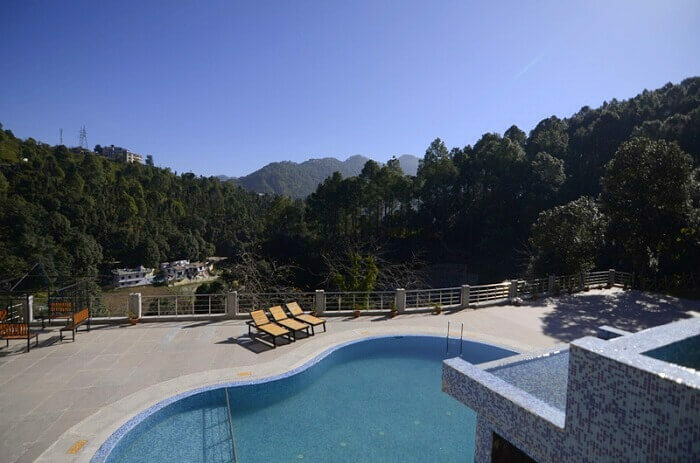 The FERN is also one of the few resorts in Bhimtal with swimming pool, making it a great place for family holidays. Located just a kilometre out of Bhimtal, the Pine Oak Resorts has a superb location surrounded by green woods. 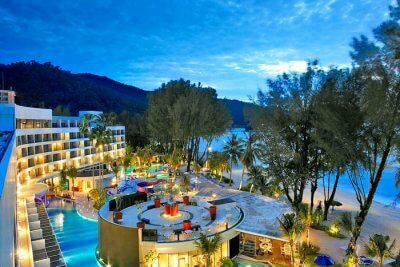 This is a no-frills resort offering all basic amenities and delicious home-style food. 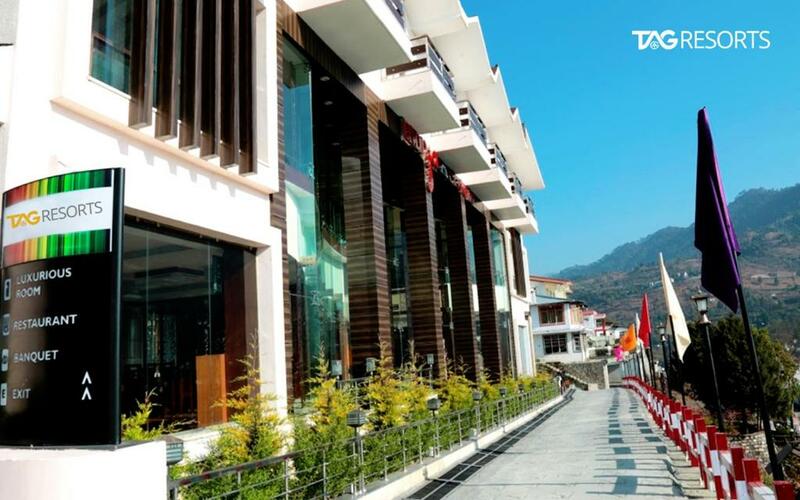 With nice and spacious rooms and an attentive & caring staff, you can be assured of a comfortable and relaxing stay at one of the nicest budget resorts in Bhimtal. Built right along the magnificent Bhimtal Lake, its superb location is the USP of this budget resort in Bhimtal. The modest property offers clean cottages with basic amenities for a comfortable stay. The view of the lake from the cottage balcony is splendid and the small garden is a nice place to enjoy some moments of peace amidst nature. You can expect simple home-style food and the staff also organizes bonfire for the guests for some fun times in the evening. 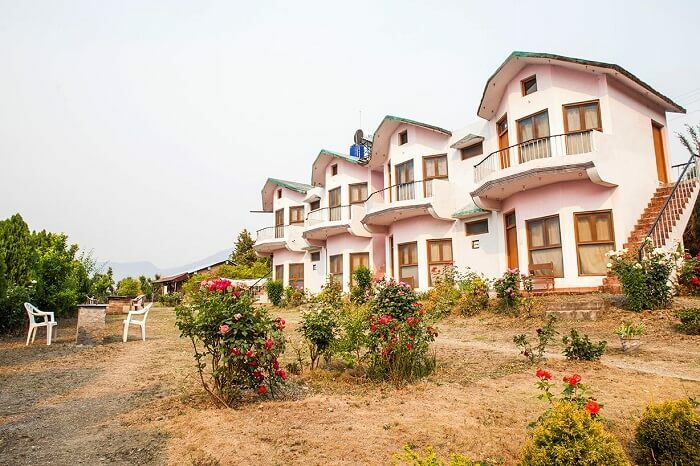 This value for money property is a decent choice for budget resorts in Bhimtal offering basic amenities and a comfortable stay. With nice views of the valley, sufficient parking space and well-appointed rooms Shikha Inn also has some outdoor games options for kids. 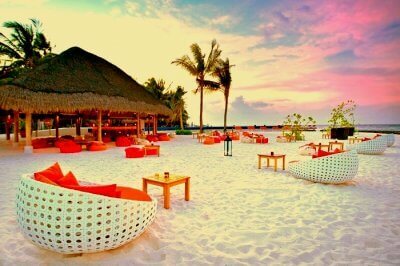 Food is simple, staff is polite and helpful & the resort organizes bonfire for the guests in the evening. Surrounded by pine trees and green valleys, this modest nature resort in Bhimtal promises a blissful stay far from the touristy crowds. 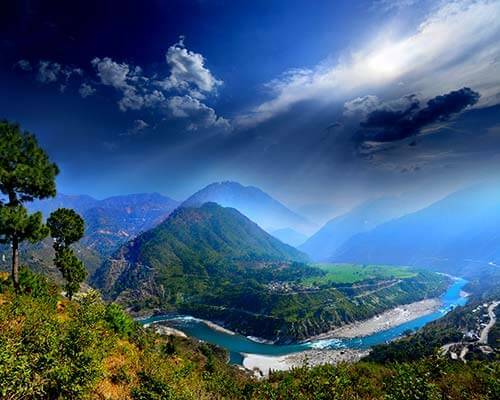 Located around 7Kms from Bhimtal lake, Apical is your chance to experience nature in all its glory. Walk amidst clouds, soak in the breathtaking views and revel in the warm hospitality of the courteous and caring staff at Apical Resort. 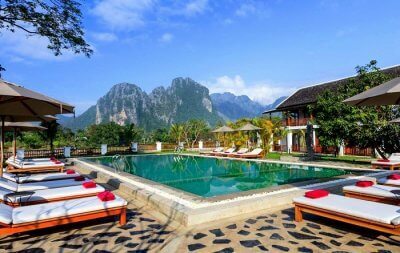 The homestay style resort offers basic, clean and no-frill rooms and fresh food, including an option for barbecue. 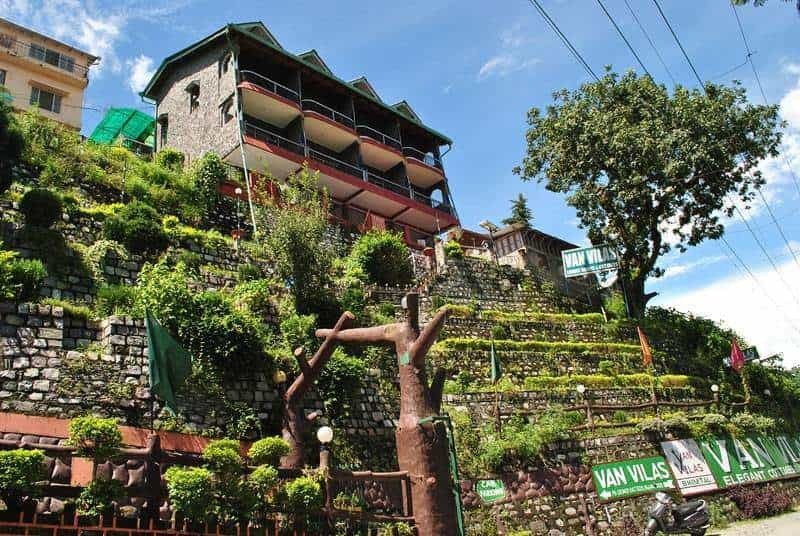 The beautiful town of Bhimtal offers many accommodation options to suit your budget and travel style, from luxury resorts to friendly homestays and upscale hotels. It’s time now to choose your perfect stay and head for that invigorating break in the hills. And for an even better experience, we would recommend booking a Europe Tour Package from TravelTriangle that includes sightseeing and more.